Bunbear Quilts: CUBS WIN THE WORLD SERIES! I just hoped for a close series. Was exciting. 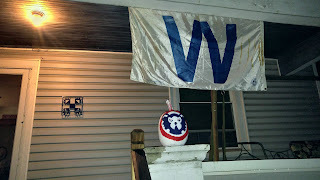 When they went into the 10th I felt myself rooting for the Cubs. Yep! Makes me very happy despite being a long, long way from the Cubs fans I grew up with!